Bad Lip Reading tends to skewer sports and pop culture, transforming the ghastly moments of The Walking Dead, for example, into a hip-hop anthem-infused story of a man’s love for his turtle. But Bad Lip Reading has since turned its sights to a far more horrifying venue: the political arena. First it was the Republican debate that received the Bad Lip Reading treatment that ended in a sing-off between the candidates. 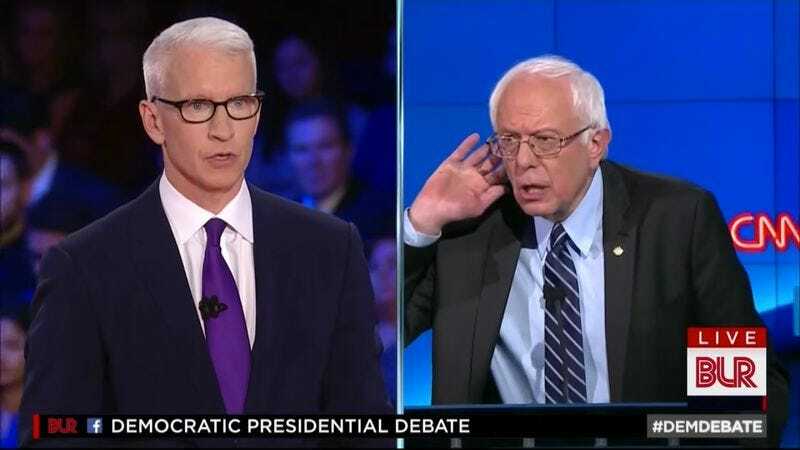 Now Bad Lip Reading has focused on the first Democratic debate, and revealed Bernie Sanders’ love of beans and propensity for simply listing various nouns. Also Martin O’Malley is easily creeped out by the stares of Hillary Clinton while Lincoln Chafee just seems happy to be there.